When will be Noddy: Toyland Detective next episode air date? Is Noddy: Toyland Detective renewed or cancelled? 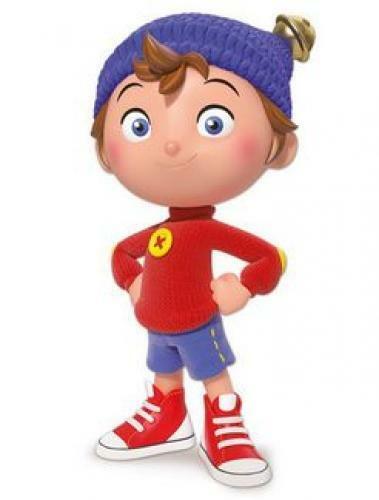 Where to countdown Noddy: Toyland Detective air dates? Is Noddy: Toyland Detective worth watching? Snuggleball, Cloppycorn's special felt ball, goes missing. Then Noddy finds out that Pat-Pat broke Snuggleball by mistake. New stickers with a picture of a mysterious bandit have appeared in Toyland, so Clockwork Mouse asks Noddy to investigate. The pirates spring clean their galleon - much to the annoyance of Pirate Stripes, who wants to go on a treasure hunt. Later that day, the pirate treasure disappears. A new ruler mysteriously appears in Toy Green and begins building a huge castle. Noddy must work fast to discover why all the balloons for a special festival in Toyama have disappeared. The little wooden boy and his friends are building a toy tower, but someone is trying to stop them. The brightly-dressed sleuth tries to find a way to avert a crisis when a ship sails out of control. All the traffic in Brickabuild is in chaos because the cones have disappeared, so Noddy decides to investigate. Someone has taken all of Fuse's special things. The little robot is very upset and Noddy needs all his investigating skills to find the collection again. Someone is covering everything golden in Toyland with grey paint, and Noddy tries to find out who it is. Bumpy's ball has gone missing, so Noddy gets him a new one, but when he goes to get it from his cupboard, he finds that it has been burst. The fairies are due to give a big flying display in Toyland, but Fairy Coco's wings have gone missing. Everyone is dressing up as clowns, but the fun stops when a strange clown starts playing practical jokes that are not funny at all. The little boy must find out who is causing vegetables to rain down all over Toyland, or Farmer Tom's farm fair will be ruined. Noddy: Toyland Detective next episode air date provides TVMaze for you. EpisoDate.com is your TV show guide to Countdown Noddy: Toyland Detective Episode Air Dates and to stay in touch with Noddy: Toyland Detective next episode Air Date and your others favorite TV Shows. Add the shows you like to a "Watchlist" and let the site take it from there.